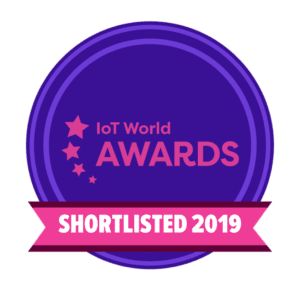 EdgeX Foundry, the vendor-neutral, operating system and hardware independent, open source, microservice, software edge computing platform, is a finalist for the “Best Edge Computing Solution & Achievements in IoT Integration” award for the IoT World Awards. The awards celebrate the success and outstanding contributors to the very best in the world of IoT. Other finalists in this category include Dell Technologies and FogHorn – both are currently LF Edge members and are still very active in EdgeX Foundry – as well as Itron Inc and Lantronix Inc.
Not only will EdgeX Foundry be attending the award celebration but will be on-site on the exhibition floor. To see interactive EdgeX Foundry demos, which include building automation and a wind turbine, visit the LF Edge booth (Booth 610). For more information about the activities planned for IoT World, visit https://www.lfedge.org/event/iot-world-2019/. EdgeX Foundry focuses on IoT Edge, and helps simplify the process to design, develop and deploy solutions across industrial, enterprise, and consumer applications. Since it’s launch in 2017, EdgeX has met several technical milestones in its roadmap including the Barcelona release, California release, & Delhi release. In January 2019, EdgeX Foundry joined Akraino, Project EVE, The Open Glossary of Edge Computing and Home Edge to form LF Edge, an umbrella organization dedicated to establishing an open, interoperable framework for edge computing independent of hardware, silicon, cloud, or operating systems. The winner of the award will be announced at the IoT Awards Dinner & Gala in Santa Clara, CA on May 15. To learn more about the awards or any of the other categories, click here. Tony Espy, EdgeX Foundry Technical Steering Committee Member & Technical Architect – Devices & IoT at Canonical, gives details on the recent availability of EdgeX Foundry in snap format. The new availability gives millions of Linux users and developers access to the continuously growing Snap Store. EdgeX Foundry is a vendor-neutral open source project that concentrates on building a common framework for IoT edge computing. With a focus on the IoT Edge, EdgeX simplifies the process to design, develop and deploy solutions across industrial, enterprise, and consumer applications. Since it’s launch in 2017, EdgeX has met several technical milestones in its roadmap including the Barcelona release, California release, & Delhi release. In adopting the universal Linux app packaging format, EdgeX Foundry will make its IoT Edge platform available to an ever-growing community of Linux developers, including those on Debian, Fedora, Manjaro, OpenSUSE, Zorin and Ubuntu. Automatic updates and rollback capabilities are staples of snap software, meaning EdgeX Foundry users will always have the best and latest version running. Snaps are containerised software packages, designed to work perfectly and securely within any Linux environment; across desktop, the cloud and IoT devices. Thousands of snaps have been created since the first one in 2016. EdgeX Foundry joins Plex, Spotify, Skype, and Slack, who have all benefited from snaps’ update and security features. The EdgeX snap is fully confined, which means snapd ensures that applications and services provided by the EdgeX snap may only use hardware and system resources that have been explicitly granted to the snap. Binary delta downloads is a feature which benefits users of snaps by lowering the bandwidth required for software updates. Ease of deployment/configuration stems from the fact that the snap provides all of the EdgeX reference services as a single package. This makes it trivial to build an appliance-like image using the EdgeX snap with Ubuntu Core. Finally, it also should be noted that all of the EdgeX reference services in the snap are deployed as system services. This ensures that EdgeX will be automatically started when a device boots, services can be individually managed (i.e. enabled/disabled/started/stopped/restarted), and services will be automatically restarted by the system if they exit due to an error condition. For more details on how to use the EdgeX Foundry snap click here. EdgeX Foundry is available to download as a snap by clicking here. This blog originally ran on Canonical’s Ubunto blog. You can view the blog here. This is a two-part blog that introduces a User Interface project in the incubation area of the EdgeX Foundry. This first blog post will disclose some of the work that was recently completed. The second blog will detail the latest developments and plans for this UI project in the future. Based on discussions with him, we decided to follow the EdgeX Foundry direction and use GoLang for the backend EdgeX UI’s operations. This allows it to more easily operate in more resource constrained IoT edge environments. In fact, Huaqiao recently completed work on an initial GoLang implementation. A screenshot from Github of the initial Go implementation is below. There are common project code normative issues: such as hard-coded, annotated code, inconsistent code format, etc. Much of the work came from the fact that we first concentrated on simply converting the Java version to GoLang version. As with much of the EdgeX development team, Huaqiao has just begun to learn the Go language and there was also work to do in order to bring the code into alignment with standard Go idioms, design and practices. Importantly, we also worked to simplify the getting, building and running of the new UI. Now even a new EdgeX UI user, one who is completely unfamiliar with GoLang, can run a local version of EdgeX-UI by using a series of make commands. This simplicity was not there in the initial version. This blog focused on providing a version of the Golang implementation for edgex-ui and refactoring it so that it matches the functionality of the original Java version but looks more like a Golang project. We’ve made significant progress but the work isn’t over yet. In part 2 of this article, which will post next week, I’ll introduce where we are now and where we’re headed with the next code release named Delhi later this year. The integration of physical industrial equipment and machinery with software defines Industry 4.0. The intersection of Industry 4.0 with the Industrial IoT (IIoT) adds sensors, connectivity, cloud, applications, big data and analytics, and intelligent systems, brings to life real time automation and management across dispersed deployments. This is where real business value is being created. The instrumentation of machinery using software has changed the nature of manufacturing. It has led to the redesign of production lines and the rethinking of the role of humans as large enterprises continue to look for ways to improve yields, ensure safety, and to save money leading to higher profit margins. For things to run like clockwork in the manufacturing plants and factories, it’s critical to look at strategy systematically, and build hyper-intelligent capabilities that will provide sustainable improvements. A big challenge in rolling out the combination of Industry 4.0 and the networks required to fully manifest the opportunity to “command and control” massive and multiple factories with fewer people and more predictable, positive results is getting all the moving parts to move together. Mastering the intelligent machines is important and great progress is being made there every day. Machines are rolling off their own product lines and legacy machines are being retrofit with sensors to extend the ROI without having to rip and replace. The connectivity of these intelligent machines, including ones from different vendors, integrating software from different control systems, and securing the sessions against cyberterrorism or other attacks is a challenge. It can be very expensive with a lot of “hidden risks” if not architected and implemented wisely. Controlling the edge of massive intelligent machines so they can be efficiently and securely registered to a private network to send data into cloud applications – where does that data becomes actionable? This may be the hardest part of all, which is why so many companies, including government agencies and critical infrastructure providers, are coming together to orchestrate standard approaches, through open source and other initiatives including EdgeX Foundry. EdgeX Foundry is an important enabler for interested parties to freely collaborate on open and interoperable IoT solutions built using existing connectivity standards combined with their own proprietary innovations. Last year, EdgeX Foundry formed an alliance with the Industrial Internet Consortium (IIC) given a shared vision for a highly organized and efficient development effort at the intersection of Industry 4.0 and the IIoT. The two groups work in parallel to bring top companies and organizations together to address fragmentation in two fast growing areas, to make development, testing and commercialization go faster, with less risk in service of the holy grail: commercialization. It’s an extraordinary and balanced relationship. IIC has successfully built a healthy, active community spanning the entire world of the Industrial Internet, while the EdgeX community has remained 100% focused on solving for challenges at the edge. EdgeX Foundry is busy working to solve for everything from security (not easy when there are potentially millions of endpoints, including multiple sensor types on the same machine), speed (compute at the edge is different from compute in the core or cloud), and sustainability (long battery life, ruggedized form factors). Additionally, above all else, economics (the edge usually brings with it a subscription business model, and with growing numbers of end-points, the related dollars can add up fast). Beyond the basics, EdgeX Foundry is also a creative community. The members look to innovate beyond just monitoring and measuring and predictive maintenance. Essentially, they look at one-way polling into more sophisticated applications that include “remote control,” “automated resets,” and “over-the-air updates,” which is dragging Industry 4.0 into the world of real time communications. Being able to control millions of machines, or a smaller number of machines with mission critical functions and being able to do securely is money for enterprises and governments. When mundane tasks can be done better by software than people who may be less effective and make more mistakes than a well-designed system that runs beautifully. This is already seen in the telecom world, where networks have moved to virtualized functions and virtual machines have taken the place of traditional bespoke hardware. The administration of those networks has become easier and far less expensive with automation built in. We will continue to see massive improvements and cost savings when Industry 4.0 becomes more pervasive. This will only happen, however, when the community comes together to work through all the moving parts, literally, and forge partnerships that enable all the contributors to a given system to build and maintain systems coherently. IIC and EdgeX Foundry are pioneering together, and are tackling everything from open, human machine interfaces and visualization technologies, business driven smart factory applications, analytics, artificial intelligence, security innovations including blockchain technologies, secure APIs for software and networking, augmented reality for field service, and so much more. Together with the IIC, EdgeX is rolling forward under a common vision, that no longer will vendor specific or proprietary systems be acceptable, and that creating the environment for open interoperability between connected systems, networks and machines is an imperative. The EdgeX Foundry community is comprised of a diverse set of member companies that represent the IoT ecosystem. The Member Spotlight blog series highlights these members and how they are contributing to and leveraging open source solutions. Today, we sat down with Drasko Draskovic, co-founder of Mainflux and the main architect of the Mainflux IoT Platform, to discuss the importance of a growing ecosystem, their IoT framework, the impact EdgeX has made and what the future holds for the company. Mainflux developed a full-stack open-source, patent-free IoT Platform, which serves as a middleware and software infrastructure for the development of IoT Solutions and Intelligent products. Written in Go, deployed in Docker and orchestrated in Kubernetes as a set of microservices, the Mainflux IoT platform is capable of massive deployments (millions of connected devices) and can provide connectivity to any device and any application. The Mainflux IoT platform can be deployed anywhere and respects modern standards such as JSON Web Signature (Json Web Token) (JWT) and TLS, as well as fine-grained, policy-based authorization. In addition, Mainflux also offers consulting services provided by a cross-functional team that covers all technological layers needed for IoT projects. Over time, IoT has changed the paradigm of single-vendor, end-to-end methodology. Even big companies are realizing that IoT is too complex to approach alone and that fulfilling its promise requires collaboration. As such, it is important for small IoT companies or start-up businesses to be part of an ecosystem that can deliver technology that meets the customer’s specific business needs and provide acceptable ROI. Our CMO Sasa Klopanovic describes EdgeX as a “David Befriends Goliath” relationship – since IoT giants like Dell, AMD, Analog Devices and Samsung work with startups and smaller companies. The collaboration across the ecosystem brings together the range of expertise and abilities, fostering innovation and rapid growth by allowing multiple providers to work with a common framework. How is Mainflux involved in EdgeX Foundry? Mainflux is very active in the EdgeX technical community. Mainflux Co-Founder Janko Isidorovic is the Chair of the EdgeX Applications Working Group and other team members contribute code for EdgeX export services. Additionally, I am active in the project through continuous following and analyzing issues and reviewing and commenting new contributions. As a project maintainer, I am responsible for approving and merging pull requests and leading technical discussions on improving the code and architecture. I am especially proud regarding monorepo proposal and implementation, file structure and architectural and containerization improvement because it led to dramatic reduction in memory footprint and start-up time. As a result of my contributions, I was fortunate to be nominated by the technical community and selected as a winner for EdgeX Foundry’s first annual Community Awards. I was honored with both the Innovation Leadership Award, for my technical contributions, and the Contribution Award for my leadership that has made a significant impact on growing EdgeX as an open source project and interoperability platform. I am humbled and very proud of the honor and look forward to reaching more technical milestones with the EdgeX community. How is Mainflux using the framework? The EdgeX framework is an essential software block running on our MFX-1 gateway, ensuring connectivity, data processing and computing on the IoT edge. Through it’s Export Services, it connects to the Mainflux IoT platform in the cloud and forms a vertical turn-key solution for IoT. The MFX-1 gateway is based on Quad 1GHz NXP i.MX6 ARM Cortex-A9 architecture with 2GB RAM and 8GB eMMC assured by our hardware partner Solid Run. One of our focuses is to assure good performance of EdgeX Go components on this type of architecture. Being an industrial IoT gateway, MFX-1 has a strong requirement for security: the U-Boot bootloader is based on secure boot with ARM Trust Zone and PKI signatures. The Linux kernel is specially tailored through the Yocto framework, HW anti-tampering mechanism are employed and various other types protections are used. On the EdgeX side we have worked on EdgeX Auth service that implements JWT signatures and checking, and various reverse-proxy TLS/DTLS setup needed for constrained devices and applications. Other things we are working on include EdgeX UI applications for local configuration that will run on a gateway itself and a remote Mainflux app that will manage whole fleet of EdgeX gateways, including handling software updates, status and service information handling, IoT messaging and analytics in the cloud. How has EdgeX Foundry impacted your company? During the R&D and implementation process, Mainflux team members gained a lot of skills for the EdgeX architecture and deployment procedures, and became comfortable in using and expanding these technologies. This helped Mainflux build a top-notch team of EdgeX experts who are capable of working on various kinds of consultancy assignments. We know how EdgeX project was built, we were there when it launched, and because of that we believe that EdgeX Foundry will be used extensively within the industry. This will yield a lot of requirements for integration, support and consultancy and we now have a team with EdgeX expertise capable to answer to these requests. In fact, the EdgeX platform will enable new disruptive solutions and applications to be implemented on top and the Mainflux team already has some ideas in the pipeline related to blockchain and decentralized computation on the edge. If that isn’t enough, we also included EdgeX Foundry in a recent book and won a grant to develop IoT gateways based on EdgeX. The Book: Scalable Architecture for the Internet of Things. Our initial proposal for the “Scalable Architecture for the Internet of Things” book published by O’Reilly did not include an EdgeX Foundry chapter. We focused most of it on cloud IoT platforms. However, we soon realized that EdgeX is an extremely important example of the IoT architecture scalability, as it covers the whole edge-fog-cloud continuum and is based on a set of containerized microservices that communicate via standard interfaces or a message busses. It seemed natural to add it in. To receive a copy of the book, click here. Mainflux recently won a Serbian Innovation Grant. The Government of Serbia Innovation Fund awarded Mainflux a funding grant to develop MFX-1, an IoT edge gateway powered by the EdgeX Foundry platform. An addition of the edge component to the Mainflux IoT Platform will turn it into a unique open source IoT solution capable of both server-side and edge computing. More than 130 projects applied for the Innovation Fund and 24 projects were selected. Projects were evaluated by an independent governance structure, with a robust international peer review system and an international Expert Committee. The combination of Mainflux’s IoT platform and its IoT Gateway based on EdgeX will provide a Mainflux IIoT System, which we’re hoping will lead to an fully-featured open source system for IoT solutions development. Janko Isidorovic, CEO and Co-founder of Mainflux,receiving the Serbian Innovation Grant at the ceremony.